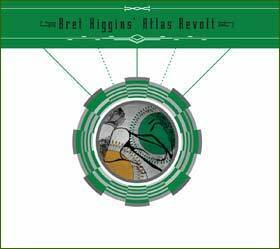 There is freshness aplenty in this disc by Bret Higgins’ Atlas Revolt. The all-Bret Higgins programme offers ten outstanding pieces which brim with personality. Bass-led ensembles are not that frequent, but I have found some to be so absorbing that I wonder why their number has not increased. After all the bass forms not simply the bottom of all music, but the bass is also the prince of all string instruments. But going back to the programme for a moment: each piece is played with vividness and vigour. 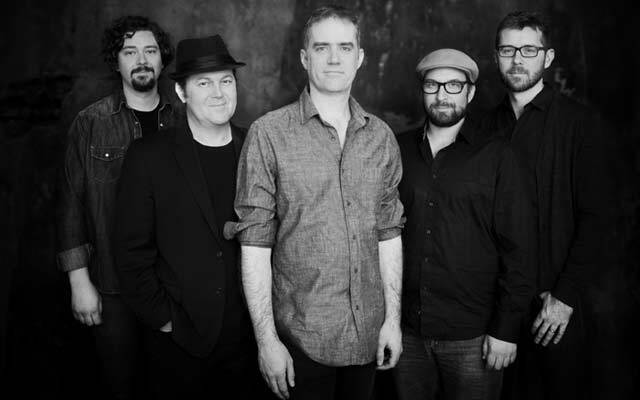 And ked by the firmly eloquent bassist Bret Higgins the single stings – plucked or bowed – have an extra vibrancy of line, dynamic contrast and bracing incisiveness. The spirit of the bassists who form an inspirational line for all bassists to follow is present too. But nothing springs more monumentally than Bret Higgins’ bass. His especially sensitive voice inspires Atlas Revolt to reach inspired heights. The bass effect is particularly inspirational to the violinist Aleksandar Gajic who brings a suggestion of gaiety that renders more poignant the effect of the dark, complex harmony sometimes presents in the compositions – All About The Starry Dark and Electric Sinner – and a bright memory is rendered sad and bitter as in Flashbulb Memories. The group is especially adept in maintaining the flow of the musical narrative of the songs and with it the music’s emotional flux. The bass, of course, is key. The metrical irregularity of the music and the brilliant melodic sense of Bret Higgins suggest that its instrumentalist more-than-hints at a significant depth in many passages contained within the songs. The best movements are, of course, when in Jakaranda, for instance the sensuous slower parts of the music capture its mood perfectly making a virtuoso tour de force of the music’s finale. Throughout the record Bret Higgins is especially impressive; not only because of his thrilling precision, but also of his tone colour which variety is marvellous from the inside out. In Atlas Revolt, with its wide stretches for the bassist, Bret Higgins is particularly successful in using spread chords. It is sometimes tempting not to, but avoiding this device would deny the music an important expressive resource. Bret Higgins’ music demands much from its players, including him. On this recording, the group gives an enthralling account of themselves taking note of all of the composer’s instructions as to character, dynamics and variation of tempo, without adding any extraneous histrionic inflections. Bret Higgins’ Atlas Revolt is fascinating and rigorous. Deep listening is required to feel the full impact of its music especially in the deceptively transparent rhythmic and melodic cycles with internally incompatible mathematical permutations that snap all that might become predictable with metallic, brutal force. Overall, this disc is a compelling experience – a must also for its excellent engineering.